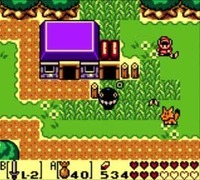 Just a heads up to those of us in Australia who have been eagerly awaiting Link’s Awakening DX on our 3DS: as of this morning (Thurs, June 9th) it is available for download. Of course I should mention that it is $9AU, and people will of course complain about the price being “too steep”, but come on – it’s freaking Link’s Awakening. Thanks to this download many will get to experience a game we haven’t been able to. I just got my download. And although we have no official active source in Europe, Link’s Awakening being in Australia likely means that it has now reached European shores as well. Happy downloading, folks.